• Food: Half-price sushi (Monday only). • $6 cocktails, $4 wells, $3 drafts, $8 sake. Happy hour menu including $4 appetizers, $6 rolls & $4 nigiri & sashimi. The private tatami room is the highlight of the space, offering you a cozy lunch or dinner spot. With both traditional and modern Japanese dishes, from sushi and sashimi to noodles such as Udon and Ramen, get many Japanese favorites. Sake, beer or wine to top off your dinner at Tomo. 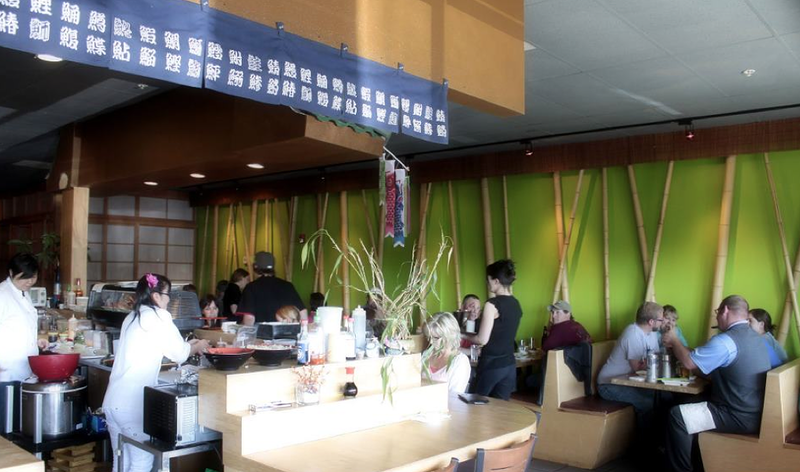 Tomo features an extensive dine-in menu and take-out options, including sushi ranging in price from $3 California and tuna rolls to $10 for higher end rolls. Tomo’s focus is traditional Japanese dishes like sashimi, ramen, tempura, and edamame, as well as the Bento lunch option, prepared with fresh, organic produce as often as possible.